Is Lost Planet 2 Only On Xbox 360? Earlier this week, Lost Planet 2 was announced on Xbox LIVE. 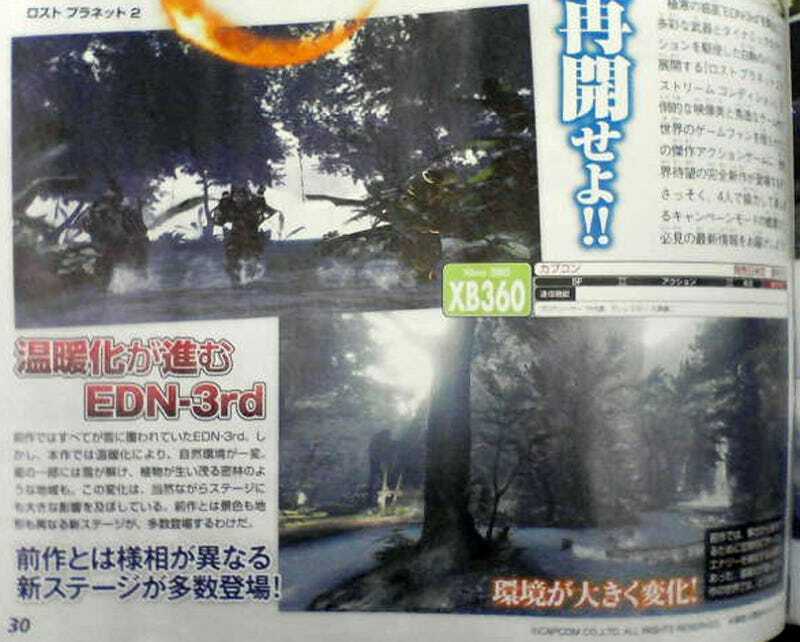 The upcoming issue of Japanese game magazine lists the game as only "Xbox 360." Guess that means it's on the Xbox 360. But how does that fit into Capcom's multi-platform strategy? Famitsu reports that the game's development is 40 percent done, has online player and four player co-op. As we posted previously, it features new environments, new enemies and new weapons. Check out the debut trailer here and new Famitsu scans below.